We're sorry. We weren't able to complete your payment or set up pre-approved payments. Please try again later. Paypal Payment Issue: We're sorry. We weren't able to complete your payment or set up pre-approved payments. Please try again later. This is mainly because your credit card needs to be verified. Some credit card companies will want a verification first. Paypal does this verification process to also protect you and your credit card. To check: Please click this link and login via paypal. Does it say verified? Click the Gear icon next to the "Log out" button and select Profile and settings. Click Update beside "Debit and credit cards". Do you see "Link and confirm my card" or "Confirm my card" for any of the 2 cards you've added? If yes, please click it to confirm. PayPal will send a $1.95 USD charge to your card. They do this to be able to send a 4 digit code in your bank statement to verify your account and your credit card. Just check your online bank statement after that to see the 4 digit code. Some card companies will take a couple days before they show the full statement online so just check back after a few days. 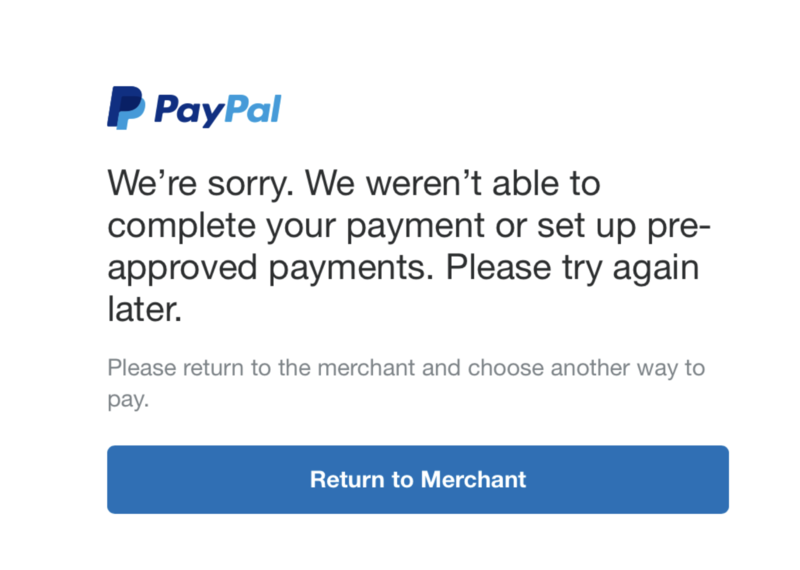 How to verify your card through PaypalPaypal credit card verification.Dennis S.
After the card is confirmed, Paypal will immediately refund the charge. You can then proceed back to the SeriousMD payment screen to try the payment again. PS. Please contact SeriousMD support to help you get your account upgraded already while you are still waiting for the card's verification. We'd be happy to help you out.